Since our founding 40 years ago, integrity and mutual respect have been cornerstones of our business. To that end, recently we distributed a letter to all executive team members at our portfolio companies. In it we reflect on what it means to create a true culture of safety, for all employees. It’s an important message, and one we invite you to read below. It is our hope that someday this letter and others like it will be viewed as archaic – reminders of a time long past – and that a true culture of safety will be the norm across all businesses and industries. At Watermill, we are committed to realizing that future and hope others will join us in putting a strong stake in the ground in favor of safe, open and supportive work environments. Today, International Women’s Day, I would like to share some thoughts that have been weighing on my mind about the recent #MeToo movement and the expectations Watermill has for our companies. We, at Watermill, believe firmly in creating a culture of safety. It is core to Watermill’s value systems to create safe, healthy work environments for all of our employees regardless of position, gender, race, sexual orientation, primary language or ethnicity. 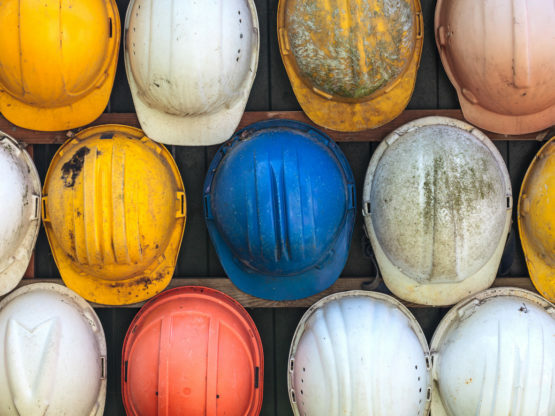 We believe firmly that building a safe working environment enables all employees to contribute at their highest levels and, ultimately, creates better businesses. For this reason, we have historically asked our companies to focus on safety first in every report to Watermill (monthly meetings, board meetings, investor reports). Additionally, I believe that there is a key element of safe work environments that has gone unspoken and under-addressed: the sense of physical and psychological safety that comes when a work environment is intolerant to sexual harassment and actively promotes an inclusive work environment. We expect each of our companies to embrace a culture of gender equality and collegiality. To be clear, Watermill will not tolerate incidents of sexual harassment or bias related to race, religion, sexual orientation, gender or other identifiers. Should a credible claim of misconduct be communicated to Watermill, we will enlist legal support and, if appropriate, instruct the company to open an investigation. We will also not hesitate to notify law enforcement if we reasonably believe such action is appropriate. To that end, Watermill is asking all management teams to review and upgrade their codes of conduct, immediately launch sexual harassment training throughout their organizations, broaden company-wide definitions of safety, and take steps to create sexually safe work environments. Additionally, each company must ensure there are clear and confidential mechanisms in place and communicated to facilitate reporting of potential violations and that victims, complainants and/or witnesses are protected from retaliation. We hope and expect our companies to take a leadership position in ensuring that all employees are free to contribute, in each domain, at their highest levels; this can only happen in a safe environment. We would like each team to give a progress report on your sexual harassment policies and trainings at each of your upcoming board meetings. Building better businesses is not simply about financial performance or strategic implementation, but also about creating healthy work environments for all employees. We hope you’ll join us in leading the way on this issue and unleashing the powerful capabilities that exist in each employee on your team. Should you or any employees have questions about this request or wish to speak with Watermill directly, my colleagues and I are available.